Most parents understand that vegetables should be an important part of their child's diet because vegetables are a good source of fiber, vitamins, and minerals. Unfortunately, many parents have a very hard time getting their kids to eat a few if any vegetables on a regular basis. We all know that kids should eat their vegetables. 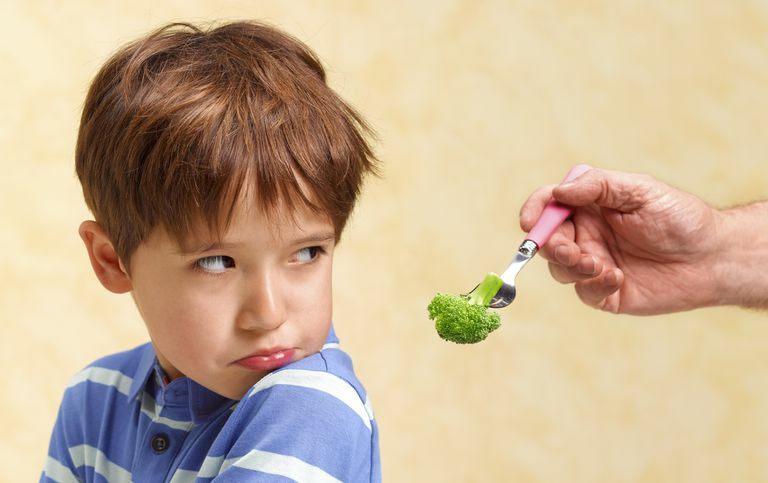 But just how many vegetables should kids eat every day? Why such a big range at each age? That's because of how many vegetables your kids should eat like most other foods have a lot to do with your child's activity level. An active child who is burning more calories needs more vegetables and other foods than an inactive child. The Choose MyPlate Daily Checklist can help you come up with a daily food plan, including how many vegetables your kids should eat, based on their calorie level. But what counts as a cup of vegetables? If you still want to think in terms of 'servings', remember that one serving is equal to about 1/2 cup of raw or cooked vegetables, 1 cup raw, leafy vegetables, or 1/2 cup cooked or canned peas or beans. And servings for younger children are even smaller, with a toddler serving being equal to about 1/2 of a regular adult serving size. In addition to eating vegetables each day, your kids should try to eat a variety of dark green vegetables (broccoli, greens, spinach, romaine lettuce), orange vegetables (carrots, pumpkin, sweet potato, winter squash), dry beans and peas, starchy vegetables (corn, green peas, white potatoes), and other vegetables (cauliflower, celery, cucumbers, tomatoes, zucchini) each week. Set a good example by eating vegetables yourself. Offer low-fat salad dressing and other dips as a side for vegetables. Mix in vegetables with foods that your child already likes, such as a topping on pizza, extra in spaghetti sauce, or mix in a casserole or soup. Let your kids grow their own vegetables or visit a farmer's market to buy fresh vegetables. Provide raw vegetables, such as baby carrots, as a snack. Offer a lot of choices, provide small servings at first, and keep in mind that some picky eaters won't try a new vegetable until they see it on their plate 10 or more times. The Feeding Infants and Toddlers Study once found that 'by 15 months, French fries and other fried potatoes are the most commonly consumed vegetables.' This goes against the general advice that kids eat a variety of vegetables. Are French fries your child's favorite vegetable or the only one he eats? Which vegetable does your child eat most often? Center for Nutrition Policy and Promotion. Fabulous fruits... Versatile vegetables. Pediatric Basics. Food for Thought. What are Infants and Toddlers Really Eating? Fall 2004. Number 108. USDA. Choose My Plate. All about the Vegetable Group. How Much Fruit Should Your Child Be Eating?